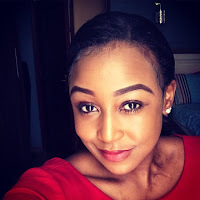 Home / Editor's Choice, Entertainment News, Lifestyle / What BETTY KYALLO’s mum said over revelations that Governor HASSAN JOHO dumped her daughter like garbage. What BETTY KYALLO’s mum said over revelations that Governor HASSAN JOHO dumped her daughter like garbage. Tuesday, September 11, 2018 - Betty Kyallo’s mother has spoken out on her daughter’s failed relationship with Mombasa Governor, Hassan Joho. The former KTN news anchor has been the talk of the town after a local tabloid spilled beans on how she was humiliated by the flashy politician when their affair went south. Apparently, Joho was fed up with the TV girl’s crazy demands and dumped her like garbage. Joho is reported to have repossessed his pricey Porsche Cayenne he had given her in the most savage manner - Betty was stopped along Mombasa Road by Joho’s guards and forced to surrender the car while she was behind the wheel. Betty’s mother, Julia Ngii, has taken to social media to stand with her daughter with a message of support.